False Idol is actually a cool name...too bad it can't be marketed positively. A band will probably scoop up the name. If you don't like the New False Idol you don't have to buy it. I'm pleased to announce that we will continue with the Original Idol as well. I will be coming up with some new designs in the old shape that you all love. That's good. I guess in the end the new shape isn't necessarily bad; it's just not an Idol. Honestly, if it didn't look like you'd be killing the original Idol design in favor of it, I wouldn't be bothered at all. 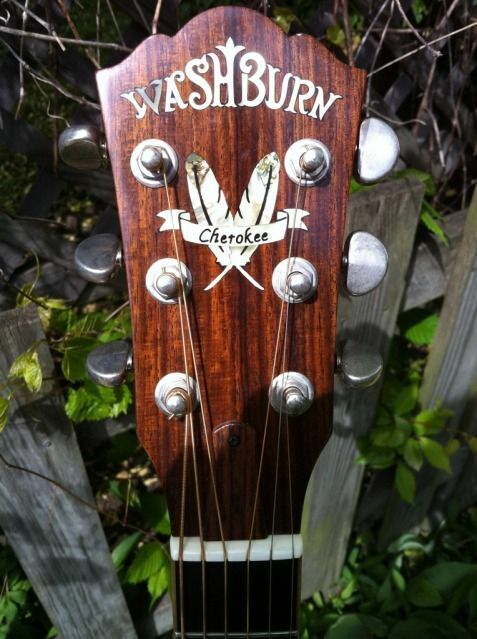 I think the issue is that Washburn came on here to specifically ask for feedback regarding the Idol. Most everyone universally said don't change the shape. Then, what does Washburn do? Change the freekin' shape. If the company doesn't want to listen to its active customers (who comprise the forum), why bother? And no, we don't have to buy the new FALSE Idol, and I suspect others won't either. Terrible idea and execution. I think the issue is that Washburn came on here to specifically ask for feedback regarding the Idol. Most everyone universally said don't change the shape. Then, what does Washburn do? Change the freekin' shape. Take a breath jisham, they didn't change the shape, they added an additional shape to the Idol line. For all we know, the continuance of the original is in part due to the feedback. I don't know if that's the case, but I don't know that's NOT the case. The Idol, as we know it, continues. Unchanged. I'm with Jisham on this one.........putting that shape into an already flooded marketplace was ill advised imho. What you have in the original Idol is greatness. Now hire someone who knows marketing and your in business. Go toe to toe with Gibson. I believe, as I'm sure alot of people on this forum do, the Idol is better. Well, keep in mind that Nick didn't ask if they should change the shape; he said they were going to change the shape and asked if they should continue the original shape alongside the new shape. And they are, so technically one could argue that they have been listening to us. I agree with both those points. Nick, you sound offended and I can see why you would be. I think you should actually take comfort from the passion people feel for the Idol. You asked who loves it and the answer seems to be, Anybody who has one. And, of course, people always resist change. I think Kimo has it right that it's a bit surprising to see this shape rolled out under the Idol brand. I would have thought a whole new brand, aimed at a slightly different demographic, while leaving the Idol as the critical success it has been from the outset, would have been the way to go. For what it's worth: seems like the path is set. I got mine. I'm more than happy and I still think it's a beauty in every way, especially for the money. Doesn't really matter to me either way to be honest but it's a shame to see what's happening at Washburn. I think the new model was in the works long before any of us heard about it. the fact that they ellicited our opinions at all is remarkable. Thanks for thinking of us! Gives me hope! Sorry, i didn't mean to come off that way. I wasn't offended. I was just trying to let you guys know that you can relax, the Original Idol will remain in the line for those who would rather buy it than the False Idol. I really appreciate the responses and the passion that you guys have for the Idol. I am trying to find another name for the False Idol since we're keeping the Original Idol it wouuld seem weird for both to be called Idol. You are correct that we didn't take any Original Idols to Namm. The decision to keep it was made at Namm based on responses from many of our dealers after seeing the new product. I am trying to find another name for the False Idol since we're keeping the Original Idol it wouuld seem weird for both to be called Idol. Well you've got Idol and Preacher, the obvious next thing in the same theme is Prophet. BTW...kudos to Washburn for responding to the feedback in such an expedited manner. Commendable, IMO.